We love these free skirt patterns. From denim refashions, twirly patterns, to patterns for women and kids... there's something for everyone! Whether it’s spring or summer, those legs of yours are itching to catch a little sunlight and free themselves from the pants that have been restricting them all winter. The 35+ Free Skirt Sewing Patterns you’ll find in this collection offer DIY ideas for how to make skirts that are not only inexpensive, but also fun to make and stylish. You don’t have to sacrifice style or your hard-earned paycheck to get the warm-weather wardrobe you've always wanted. Instead, check out these free skirt sewing patterns and spend a little time with your sewing machine. The results will have you smiling and others complimenting your crafty abilities! We love all the free skirt patterns included in this collection, but to be more specific, we’ve hand-picked skirt patterns that are both classic and trendy. Ever wondered how to make a skirt out of blue jeans? We’ve got you covered. Grab that old pair of jeans that no longer fits and check out our free jean skirt patterns. Looking for a lighter material to work with? Learn how to make a twirly skirt that you, your little girl, or your pre-teen can all enjoy. You’ll find plenty of free skirt patterns that create lovely pieces perfect for twirling. You’ll also find traditional skirt patterns for women who aim for that classy, feminine look. We’ve chosen these free skirt sewing patterns with everyone in mind! So whether you’re looking to refashion with denim and learn how to make a skirt of blue jeans, or if you're just opting for a cotton alternative, these free skirt patterns will help you create your next sewn garment! BONUS! Watch the video tutorial right below to learn how to make a long wrap skirt. This is a great overview for most skirt patterns as well, so it's worth a watch if you're new to making your own clothing. If you have daughters, nieces, or young family friends, you can learn how to make skirts for them. Any of these free skirt patterns will help you create garments they’ll love. When you’re searching for free skirt sewing patterns for juniors and kids, it can be hard to find ones that are easy to make and trendy. We’ve selected projects that are all sure to be hits with whoever you're making them for. From pleated to petal, these free skirt patterns are sewing lessons for you, too! Pick up a new skill and use these tutorials to create adorable pieces for their wardrobes. Your girl can run, play, and twirl in this lightweight skirt that's great for the warmer seasons. Skirt patterns like this one will help make up an adorable wardrobe for your little girl. Learn how to make a pleated skirt with this tutorial. This skirt is a great sewing project for girls, and the fleece is soft and comfortable. The designer of this project calls it the "easiest skirt to make in the entire world." We like the sound of that! In just 20 minutes, you can transform an oversized shirt into a wearable skirt. This tutorial is a quick and easy beginning to an adorable outfit! This girls' skirt pattern tutorial is light and airy, perfect for a summer day. Wear it year round with some cute tights! In a matter of just six steps, you can learn how to make a skirt for your little girl or yourself. Super cute and super quick, this simple sewing project will be worth the little effort you need to put into it. Get the biggest bang for your sewing buck by learning how to make a skirt that fits your tastes and budget. This is a great pattern for girls of all ages, and it's versatile, too. Instead of buying brand-new threads for your girl, just sew some instead! Learn how to make a skirt that will save you money on school clothes. There'll be no chance of your little girl getting lost in the market with this DIY skirt! Free skirt sewing patterns that offer both functionality and fashion are definitely worth the work. This skirt has layers, ruffles, AND a delicate lace trim your child will love! She'll love showing off this adorable and stylish skirt, and you'll love knowing that you made it all by yourself. This adorable skirt has pleats as well as a stretchy waistband—perfect for your active little girl. Once you set eyes on this skirt pattern, you'll hardly be able to keep from running to your sewing machine. Easy sewing projects that yield a two-in-one piece of clothing are definitely worth the work. Find over 100 more free skirt patterns under our free skirt patterns tag! Learn how to make a skirt that fits your body and budget. What would this collection be without skirt patterns for women? No matter what age you are or who you’re sewing for, the following free skirt patterns are a great choice. Not only will they deliver lovely skirts that you can wear to work or to parties, but they’re also simple to make. You don’t have to spend weeks at a time with the sewing machine. Instead, check out these skirt patterns for women and use your creativity to make pieces that show off your personality. All the free skirt patterns in this collection allow you to express your individuality without breaking the bank. Enjoy! Lace skirts are so trendy right now, but we'll never get behind the hefty price tags. Instead, check out this free skirt pattern that'll help you create a lovely piece for your spring or summer wardrobe. Follow this simple tutorial to create a DIY maxi skirt, which are all the rage this season. Once you know how to make a straight skirt, the outfit possibilities are endless! Around your torso it's a dress, and around your waist it's a skirt! Simple dress patterns like this one are a great way to make one article of clothing into two! Which do you want to wear today? Trendy, easy-to-make, and feminine, this DIY skirt will become a fast staple in your wardrobe. This tutorial shows you how to jazz up your wardrobe without spending an arm and a leg at the store. This lovely skirt is an easy way to look elegant no matter where you are. Dress it up with a nice top or dress it down with a tee. Learn how to make a skirt in less than an hour. Sewn from a classic favorite, this lace skirt will soon be one of your go-to articles. Look professional in this simple and stunning pencil skirt pattern. It's comfy and cute at the same time. Want a nice designer work skirt but don't want to spend that much for it? Make your own! This project is perfect for any professional environment. Make another fantastic skirt for your work wardrobe with this fantastic peplum skirt. Stay on trend with this free skirt pattern! This is a simple tutorial for how to make a skirt that's perfect for work in all its simplicity. Learn how to sew a skirt that looks as polished as a store-bought piece with this vintage skirt pattern. Here's another fantastic knockoff sewing tutorial to add to your wardrobe! This skirt is form fitting all the way until the bottom, where it ruffles out. Once you know how to make a skirt out of blue jeans, you may find your closet full of jean skirts (and lacking actual pants). Hey, that’s what spring and summer are for, right? Learn how to refashion your denim with these helpful tutorials. Our free blue jean skirt patterns are easy to follow. Not to mention, this is a super inexpensive way to refashion and upcycle. Use these free jean skirt patterns to create super-cute skirts you can wear just about anywhere this season. Turn that pair of old, ill-fitting jeans into your very own denim skirt. Create a fashion statement with this free maxi skirt sewing pattern. Do you have a skirt that's in desperate need of an update? This tutorial will teach you how to distress your denim and give it the makeover it deserves. Grab a too-short or too-boring jean skirt out of your closet and add some ruffles for an instant makeover. Denim is such a sturdy material, which means that refashioning it is a piece of cake and you'll have a new piece of clothing that'll last for a while. Utilizing an old pair of jeans, this skirt pattern for girls is the ideal project for a mom who is looking to save some money. This free skirt pattern looks too cute when you personalize it with some scrap fabric. Breathe life into your old jeans by transforming them into a chic denim skirt! This DIY skirt tutorial lets you keep the fun details of your favorite pair of jeans, like seams and pocket details, while letting you create a classic a-line skirt that hits right above the knee. After years of wear and a whole lot of tear, your favorite pair of jeans have gotten a lot of use. Don't throw them away! 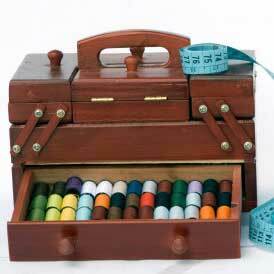 Instead, get your favorite sewing supplies and work on this refashioning project. Those old jeans might not fit right now, but you can turn them into a brand-new free skirt pattern in just a few snips. Learn how to make this unique and stylish skirt when you check out this tutorial. Do you have fond memories of spinning around in your favorite twirly skirt? Just think about how much more special that would've been if it had been handmade for you. Follow these fun tutorials and learn how to make a twirly skirt. Naturally, we’ve included free skirt patterns for little girls, but you’ll still find several that you can use as well. You’re never too old to spin around in your new favorite garment. Once you know how to make a skirt that twirls, you can make several for your future wardrobe and as holiday gifts. Fill your closet with pretty skirts that are both comfy and easy to pair with a cute top and sandals. Sewing long skirt patterns like this Jelly Roll Twirl Skirt can be so much fun! Once it's done, twirl around and show off your handiwork! This simple skirt is so charming and comfy. It's the perfect casual look for the spring or summer. Cold out? Pair it with leggings. Perfect for girls who love a little sass, this twirly skirt is absolutely charming and simple to make. This layered skirt allows you to combine a wide variety of fabric. Go simple with solids or wild with a busy print that you love. Ideal for little ones, this free skirt pattern is easy to create and way too cute. This pattern comes with easy-to-follow instructions. This gathered free skirt pattern allows you to add some charming texture to any outfit. Be sure to pair it with something sleek and simple so it shines. Ginger's Ruffled Skirt Pattern is such a charming way to add some fall accents to your autumn wardobe. It looks perfect in a bright, maple red. Your girl is going to love this gorgeous and flowing skirt! Ideal for princess parties or even a wedding, your little girl won't want to take it off. Who do you enjoy making skirts for the most? Leave your answer in the comments section below! It would be nice if there was a picture with each description so you don't waste time opening each one. I like that you can take what you already own and transform it into something useful and cute! I am very much excited to do my very first project. Thank you. you all always say get free patterns tell me how do I get the freepatterns,I would really like to no. you click on the "green name of the item you want" (for instance, right above here "convertible dress skirt". It takes you to another page. On that page, click where it says "Click Here For Sewing Pattern" and it will take you to the blog where the pattern will be shown. Hope this helps. where are the patterns that I signed up for? I'm being led around! Hi Elvira. I emailed you. Hope you get it. I'll try to help!